Our dancer retired to run track and Cross Country in high school. 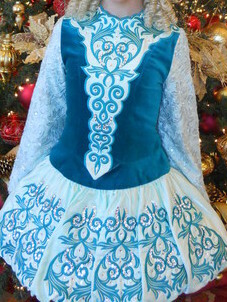 We are the second owner (paid $1700) and the dress is in excellent condition. 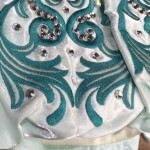 We have the kick pants, earrings and two crowns that we will include. 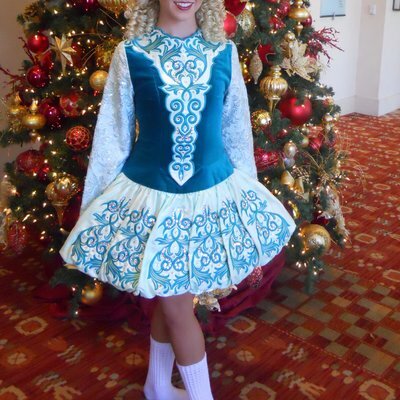 She did very well in the dress (top 20 at Regional Oireachtas) and the dress is very striking on stage. 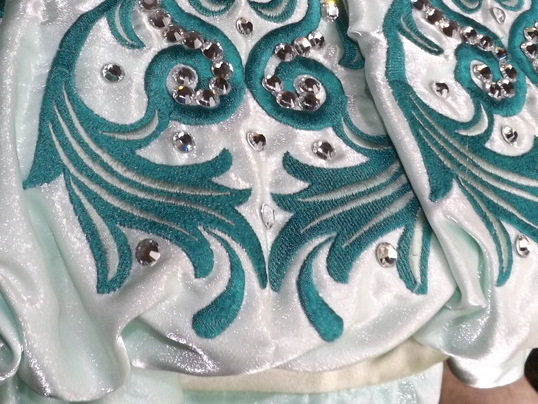 Teal velvet and mint green trim with a bubble skirt and lots of crystals. There is room to alter dress–we took it and although it is good for a slender build, there is room to let it out. 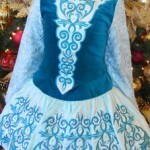 Asking Price: $US525.00. Shipping costs are not included in the asking price. Sale is final.